Connecting your iPhone to the TU/e network | Christoph Bartneck, Ph.D. 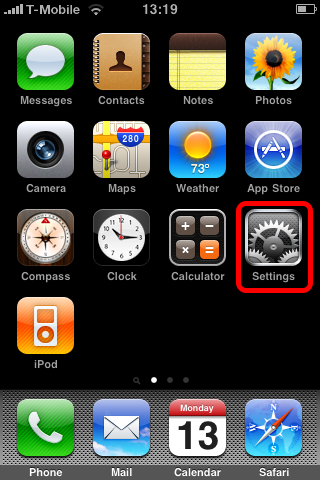 This tutorial will show you how you can connect your iphone to the wireless network of the Eindhoven University of Technology (TU/e). 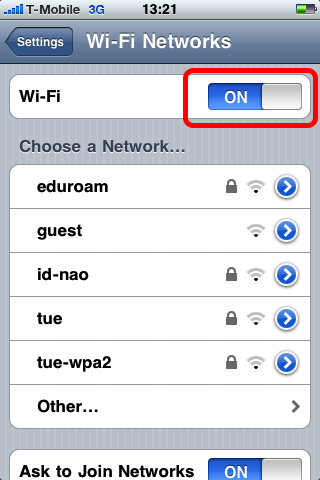 We will connect to the tue-wpa2 network, but the same process also works for the eduroam network. In another tutorial I show you how to synchronize with the Exchange server. Tap on the Wi-Fi row. Slide the Wi-Fi switch to ON. 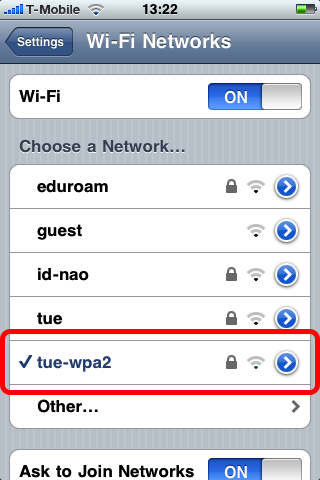 Then select tue-wpa2. 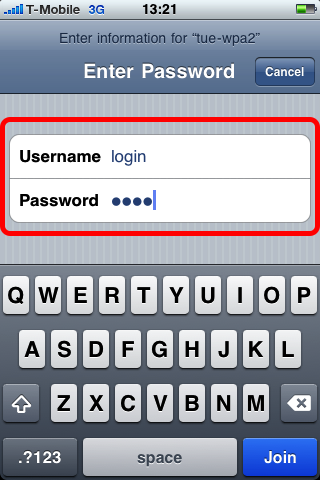 Enter you normal Windows login as your username and your password. 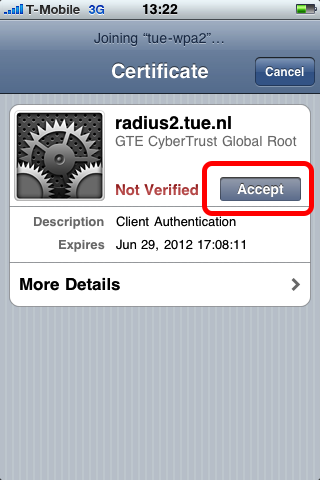 Tap on Accept to accept the network certificate. 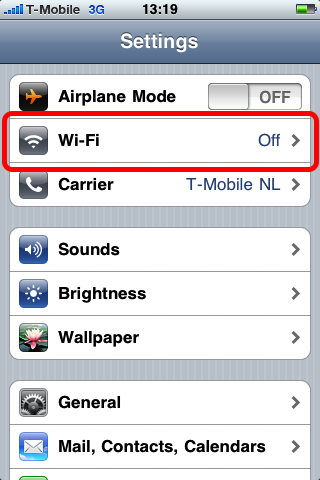 The iPhone should now be connected to the wireless network. This is indicated by the check mark and the blue color of the title. i used the information on your website to setup de vpn for the tue network. now i’m trying to use entourage, using exchange (no pop or else). but i can not get it done. as exchange server i use exchange12.campus.tue nl. maybe you can help me with this. my macbook pro is running snow leopard.